The Camp and Woolsey Fires are the deadliest California wildfires to date. Combined, the two fires have scorched over 247,000 acres of land and destroyed over 14,000 structures and homes. The blazes have reduced entire communities to rubble and ash, with mandatory orders still calling for the evacuation of some 200,000 people. Winds over the valley continue to exacerbate the heavy smoke and hazardous air pollution, creating the worst levels of air quality in the world in northern California. So much so, that officials are urging residents and tourists to remain indoors. This, combined with factors of low humidity, dry vegetation and mountainous geography, create the perfect setting for the cataclysm. 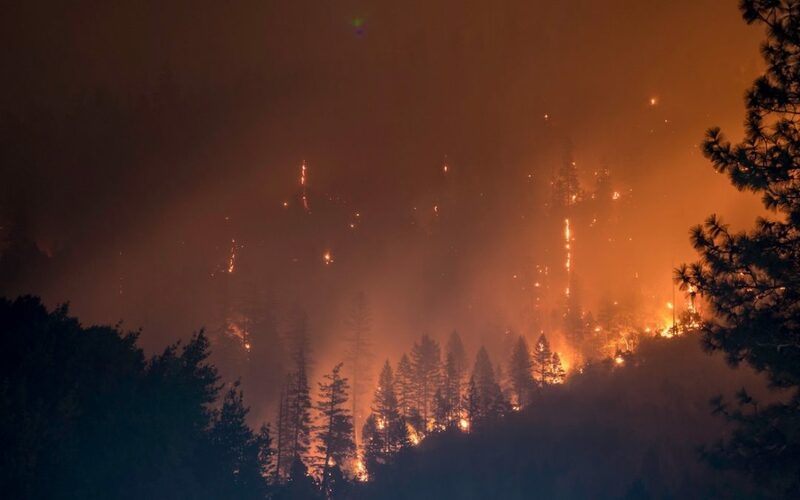 Despite this, thousands of firefighters from not only California itself, but also the neighboring states of Arizona, Washington, Utah, New Mexico, Texas, Oregon, Idaho and Montana, have banded together to battle the flames. As a team, they have managed to contain 94% of the Woolsey Fire and 66% of the Camp Fire.They expect to fully contain the fires by November 22 and 30 respectively. A career in firefighting demands tremendous sacrifice. It can take both a great physical and mental toll on the individuals nationwide who are up for the job. Regardless of location, firefighters are susceptible to multiple work-related injuries. Physical traumas can consist of burns, smoke inhalation, chemical exposure, heat exhaustion and crush injuries from collapses. Some physical repercussions may not materialize until later on. Long-term health effects can include asthma, heart disease, cancer and lung damage. Regular exposure to high stress and high-stakes environments has the potential to cause great mental trauma in firefighters. This is especially so in the event of mass casualties. This stress does not always dissipate the moment a rescue worker exits a high-intensity scene. Firefighters commonly develop post-traumatic stress disorder as a result of witnessing grim and distressing situations. This can lead to anxiety, depression, insomnia, unwanted thoughts and increased agitation and hyper-vigilance. Because of the various risks, it is pertinent that firefighters receive regular health screenings to identify and prevent illness. Firefighter health screenings include cardiovascular health and fitness, cancer, musculoskeletal injury, lung disease, sleep disorder and infectious disease. NDS Wellness provides on-site yearly health screenings that comply with NFPA 1500 and NFPA 1582 standards. Early detection of illness and implementation of preventative measures allow firefighters nationwide to stay healthy and able to perform their duties. Every day, firefighters bravely face a variety of crisis situations to ensure the safety of our country’s citizens. Without them, the California wildfires would have surely turned the state to ash already. It is a firefighter’s duty to keep us safe, but it is our duty at NDS Wellness to keep them healthy. If you would like to donate to the IAFF’s Disaster Relief Fund to aid the California firefighters, you can do so here.